Closeouts. 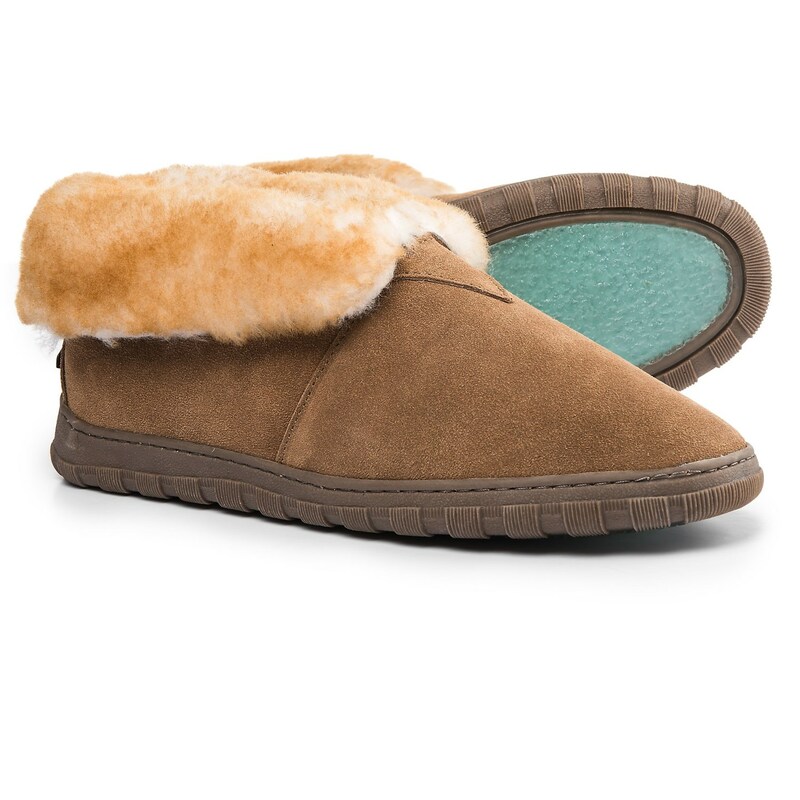 Treat your hardworking feet to a bit of luxury in these Rj’s Fuzzies bootie slippers, with a soft suede exterior and a warm-and-fluffy wool lining. The synthetic outsole is textured and slip resistant, making them suitable for indoor as well as light outdoor wear.